Since I have two separate enchilada recipes on my site (one vegan enchiladas recipe with potatoes, Swiss chard, and toasted pumpkin seeds, and another super hearty enchilada casserole with chicken and brown rice), I suppose it’s about time I came up with an enchilada sauce recipe of my own. I guess that’s what they call putting the cart before the horse. But really, enchiladas are a great option if you find yourself getting really bored with whatever you’re making for dinner every night. I mentioned a few months ago that I lost my grandmother, and I lamented how sad I was that it didn’t look like I was going to be able to get her recipes from my relatives. Not much progress has been made on that front, but it made me think of something my grandmother was always famous for: her enchiladas. For year people begged my grandmother for her homemade enchilada recipe, but she refused to give it out. This was strange, because my grandma loved to share recipes. All, but this recipe. My other grandmother, my mom’s mom, bugged her for it, as did my aunts and family friends. For years it remained a mystery, to everyone’s dismay. 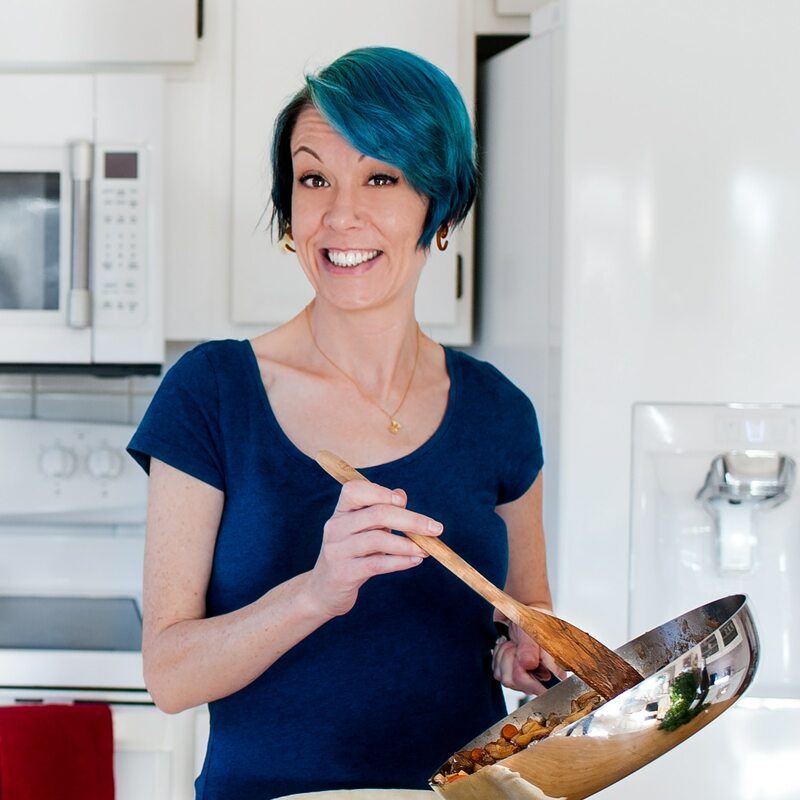 Here’s the thing – even though my entire family haled her as THE cook in our lives and we would have gleefully inhaled anything in her cooking repertoire as our last meal, my grandmother never had any confidence in her cooking. She wasn’t just being humble; she truly did not believe that she had any talent in the kitchen. Grandma wasn’t one of those people who could just throw a bunch of stuff in a pot and call it delicious, and she always had to follow a recipe because she couldn’t remember the steps or ingredient amounts for dishes she’s made a hundred times. 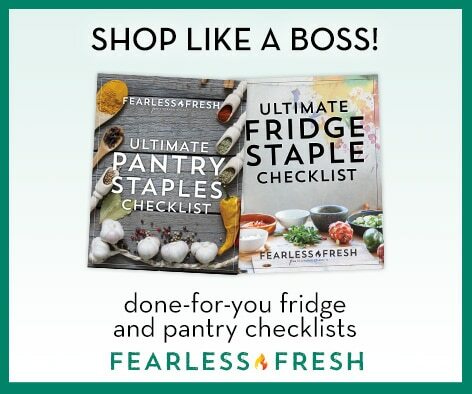 According to her, those were the hallmarks of a good cook – and there was no convincing her that she was anything but a housewife with a recipe box. When someone called her a good cook, she said it made her feel like a fraud. On more than one occasion I watched her toss out wonderful dishes because she thought they were crap. I am definitely my grandmother’s granddaughter. I can wing it in the kitchen, but would you believe that when I want to make a recipe from Melt, I still need to whip out the book because half the time I can’t remember the finer points of a dish that I myself created? Thankfully I’m not nearly so critical of my skills in the kitchen. I understand that for most folks, unless one makes a dish everyday for weeks on end, it’s pretty difficult to commit an entire recipe to memory and hold it there into perpetuity. Please let this be your guide if you are like my grandmother and believe you’re a lousy cook just because you need to refer to a cookbook. It’s no big deal. So to celebrate my grandma’s enchilada recipe – which I eventually did get ahold of, decades later – I developed my own super easy homemade enchilada sauce recipe. I think she would like it a lot if she were still here. 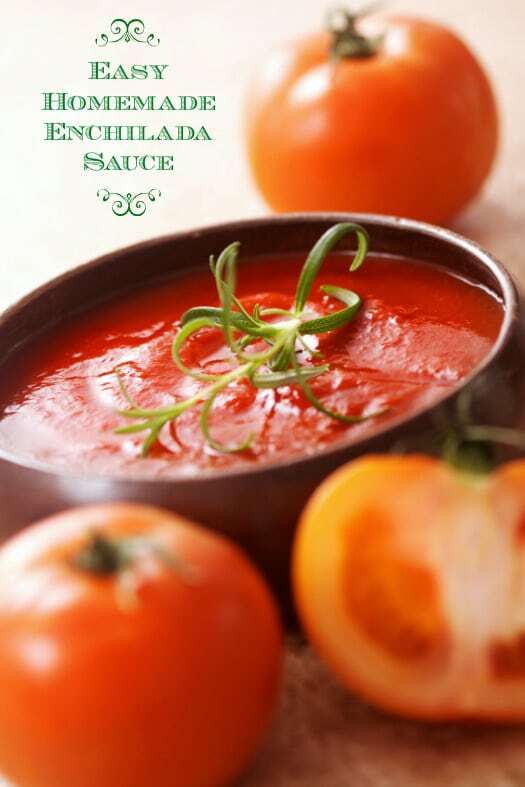 Homemade enchilada sauce is quick and easy to make, with only a few ingredients and fifteen minutes worth of work. Never eat the canned stuff again! Makes about 3 cups of sauce. In a large skillet, heat olive oil over medium heat. Add onions and cook until browned, about 10 minutes. Add garlic and cook for another minute. Pour onions and garlic into the carafe of a blender and add tomatoes, chili powder, cayenne, cumin, oregano, rosemary, lemon juice, salt, and pepper. Puree the sauce until completely smooth. Wipe out the skillet with a paper towel to remove any leftover onions. Pour the sauce into the skillet and bring to a simmer over medium heat. Lower heat and simmer for 15 minutes. Salt and pepper to taste and pour over enchiladas.